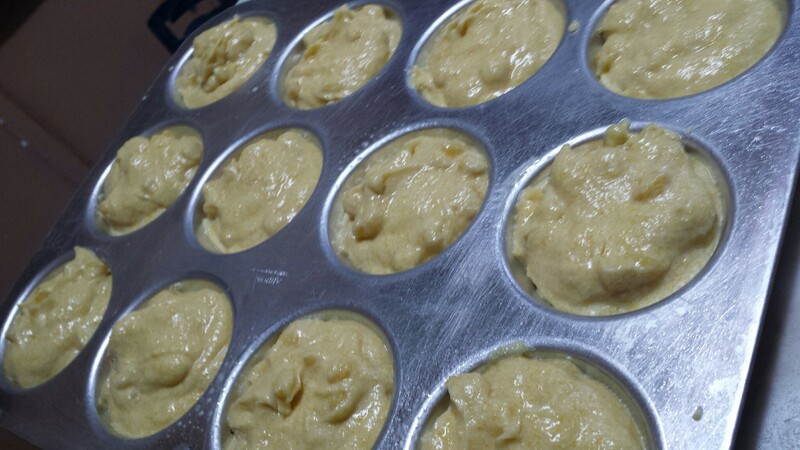 I found a corn muffin recipe that really does resemble Kenny Roger’s corn muffin that I have been forever wanting. 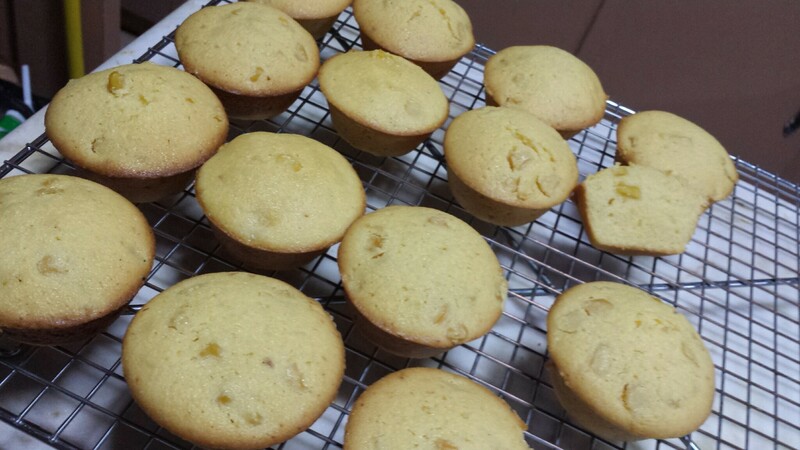 Matt and I have been talking about making cornbread (I voted corn muffin on my end) so we can have it together. And I googled and found this easily. Although this next recipe was lifted from the other one, I ended up using this recipe as a guide since it was a Filipino author and may know exactly what I am talking about. I did have to hunt down for cornmeal, and bought “polenta” from Santi’s. I really think they mislabel these things. But for all I know, it was originally a polenta pack that it came from. But it was the same thing. Cornmeal is cornmeal. So I followed the recipe, instead using about 1/2 can of canned corn because I don’t have fresh or frozen corn. So can had to be it. I thought that the 1/2 cup was sufficient, but I think I needed more, maybe double, to get the same amount of corn that I like in my muffin. I would also maybe up the cornmeal to 1 cup because I was looking for more of the chewiness and texture that I want in my corn muffin. But over-all, it was great. Everyone in the household love it, from the super eager kiddies, to Kuya Dino who is quite picky with the food that he likes. So yay, it passed with flying colors! Off to the amped up version of it!